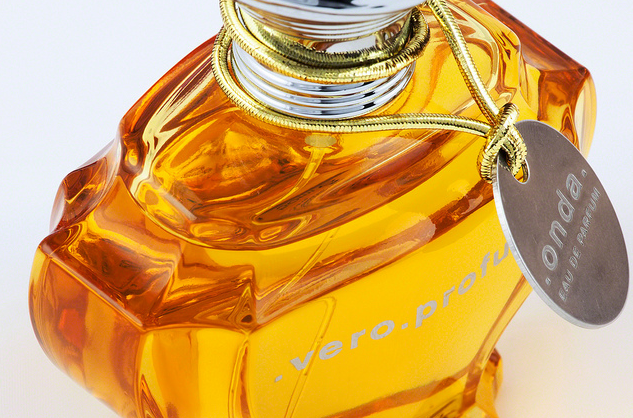 Saying that Onda EDP is a challenging composition would be like considering Marcel Proust and easy read. Onda is far beyond being just challenging, is weird, destabilizing and unusual but at the same time "cultured". It is built around a solid structure that shows many characteristic of classic perfumery and adds a bizarre, sort of futuristic, accord of passion fruit and vetiver that together with floral pattenrs and ginger gives birth to a strange blend that sits somewhere between a disinfectant, a mass destruction weapon and pure luxury. Overall Onda smells salty/sweet with fresh nuances, flowery with acidic/unripe fruits and definitely sulfurous (urine?). While all of this may sound disencouraging, I still believe that Onda deserves our respect as one of the most intriguing, complex and original compositions around. Onda, more than like a proper fragrance, sounds like a declaration of intent that says "I'm here, and I'm here to stay!". On the other hand the extrait de parfum is, paradoxically, more familiar. Don't get me wrong, it's still far from being easy to wear or "pretty" but, its chypre-y animalic leather structure brings, somehow, to mind of the beloved Djedi (well, sort of). A loud vetiver-leather concoction that moves on the thin line between glory and precipice, between a luxurious smell and a revolting stink. Earthy, animalic and almost disturbing yet extremely compelling. Onda was definitely an ambitious and risky project just like doing tightrope walking between two skyscrapers. It took some skills and guts but Vero Kern has successfully managed to walk to the other side. Chapeau. Two of the most challenging and compelling compositions that I've ever experienced and surely among my all time favorites. By all means niche stuff. As mentioned before, I tried both the extrait and the EDP. The EDP was too fruity but the extrait was nice. I'll have to give it a proper wearing again soon.